Align your living space with a clean-lined, highly contemporary look that doesn’t overlook your lust for cozy comfort. 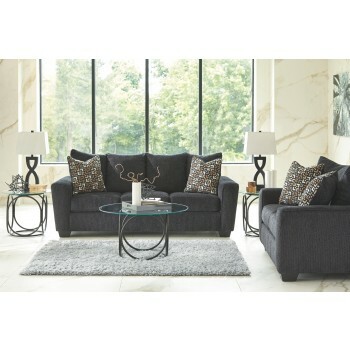 This stylish sofa's flared profile, track arms and boxed cushions are beautifully on point. Chunky chenille upholstery is loaded with visual and tactile texture.